The being of human beings and, in particular, their wellbeing is profoundly spatial and temporal. We feel well in dramaturgically stimulating, sheltered, yet expansive spaces that lend themselves to daydreaming, much like we feel well in “thick” time that, like a complex melody, textures our existence aurally, kinesthetically, and propriocentrically (influencing our body’s sense of balance). This existential relation is created through movement, sound, language, chronotypes, physical and symbolic objects, all of which weave bio-social matrixes, micro-cultural landscapes, even individual inscapes – internalized terrains of symbolic meaning. 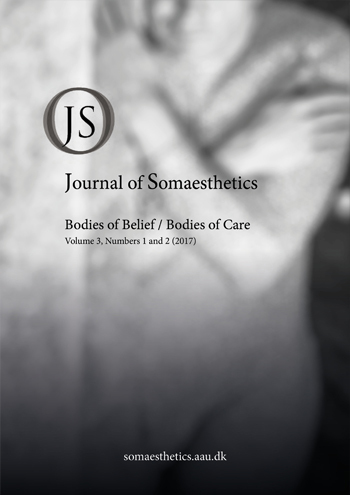 This essay offers a socio-phenomenological account of a medium-security forensic service unit River House, part of the Bethlem Royal hospital, a psychiatric hospital located in Bromley, south London. Its aim is to articulate the interdependence of practice, space, and inscape, while simultaneously shedding light on a very particular, emergent form of existential vulnerability caused by the increasing precarization, the reponsibilization of the individual, and the culture of blame.